An unexpectedly strong demand for refined fuel was enough to see crude prices rebound somewhat on Wednesday after a devastating plunge during the previous session - but one respected bank warns that prices will be volatile in coming weeks. Brent was up 81 cents at $63.34 per barrel, while West Texas Intermediate settled up $1.20 to $54.63, on the strength of Energy Information Administration data showing that while U.S. crude stocks rose 4.9 million barrels last week, stocks at the Cushing, Oklahoma delivery hub fell 116,000 barrels, the first drop in nine weeks - and gasoline stocks fell 1.3 million barrels to the lowest level since December 2017. 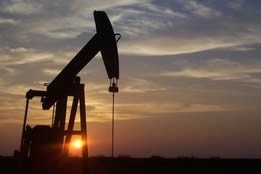 However, Wednesday's price gains weren't enough to rectify an overall market weakness, and it's unclear where the market is headed with so many factors - from persistent forecasts of slowing demand in 2019 to the Organization of the Petroleum Exporting Countries (OPEC) hoping to slash production next month to avoid a glut - coming into play. Saudi Arabia, if we broke with them, I think your oil prices would go through the roof. Brian Kessens, managing director at Tortoise, said, "It's fair to say that the price of oil is going to continue to be pretty volatile between now and December 6 when OPEC meets; there's going to be a lot of different rhetoric and anticipation of what will actually transpire." That opinion is shared by Goldman Sachs, which on Wednesday said in a note, "It will take a fundamental catalyst for prices to stabilize and eventually trade higher," and added that a catalyst would include evidence that OPEC production is "sequentially" declining and further proof of demand resilience. The bank went on to observe that a sharp collapse in demand or the absence of an OPEC production cut would be the two main risks to a price recovery, and "While both are unlikely, we are more concerned about the latter, with such a shift leading to sustainably lower prices." At least one world leader is determined to keep prices at current levels or even lower: U.S. president Donald Trump, acting on behalf of the American motorist and other parties, ignored reports that Saudi Arabia crown prince Mohammed bin Salman ordered the death of dissident journalist Jamal Khashoggi and told media he continues to back the kingdom: "Saudi Arabia, if we broke with them, I think your oil prices would go through the roof. "I've kept them down; they've helped me keep them down." Trump credited the Saudis for preventing oil prices from spiking above $100 a barrel: "Right now we have oil prices in great shape; I'm not going to destroy the world economy, and I'm not going to destroy the economy for our country by being foolish with Saudi Arabia. "I think the statement was pretty obvious what I said: it's about America First." Trump's praise of the Saudis despite the Khashoggi scandal may well be another of the brash billionaire's strategies to keep the kingdom in line and minimize its inclination to slash output next month, as well as deflect attention away from recent speculation that he "duped" the Saudis into boosting output by falsely declaring that the U.S. sanctions against Iran would reduce that country's exports to zero.